Lake Powell is the place to be: Looking for something new and exciting to liven up those summer months? Let TK Watersports bring your summer to life. Come try your hand at wakeboarding, wake surfing, water skiing, wake skating, knee boarding, tubing, power boat rentals, wakeboarding boat rentals water ski boat rentals and more. Experience the rush of being pulled behind the latest in wakeboarding boats with top of the line water sports equipment. Whether you are a beginner or just trying to take it to the next level, TK Watersports can take care of you. VIP Boat Packages: For those who may be unsure about operating their own vessel or just want to enjoy a day of Watersports without the hassles of operating the boat, this may be the package for you. All the toys included along with instructor, driver. VIP boat rentals are for those who want to spend more time with family and friends instead of the hassles of taking care of the boat or if you are a little unsure of operating a vessel your self than the VIP package is for you. The VIP package includes your own personal instruction in our Centurion Avalanche or Centurion Enzo 23 with surf package with all the Toys included. Take the worry out of you day let us do to the work and the worry of the boat. 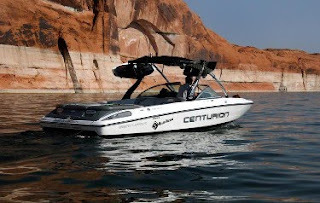 Rent one our wakeboard boats?